Have you ever heard the expression, “Out of the mouths of babes”? Children are generally truth-tellers. 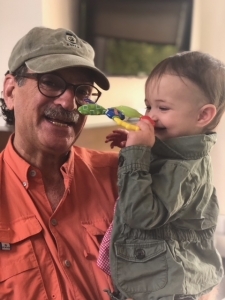 Dr. Mandel Sher keenly observed how his 11-month old granddaughter, Mia, consistently responded to the sound of C-O-U-G-H during a recent family vacation. The sudden, unexpected sound of COUGH shatters the sound of silence. The sound of COUGH is startling – just watch a baby literally “jump” in your arms and cry in response to the agitating and loud sound of COUGH. The sound of COUGH is alarming and frightening. Dr. Mandel Sher’s children invited Mia’s four grandparents to join them for a family vacation in Colorado. All the family stayed together under one roof. Shimmering aspen trees, babbling brooks and streams, and snow-capped mountains formed a beautiful and serene backdrop for this awesome time. That is until early each morning and after meals when the quiet would be shattered by Mia’s maternal grandpa’s Coughing fits. Mia’s face would scrunch-up and then she would cry. 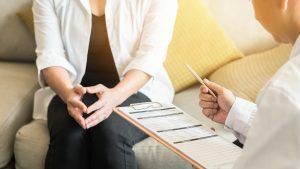 Dr. Mandel Sher treats many Cough patients who report being referred by a family member because they just can’t stand the grating sound of Cough anymore. Chronic Cough and/or constant throat-clearing is debilitating for the person suffering & annoying for those around. You have a lot to say. Don’t let Cough drown-out your message. Don’t let Cough interrupt a bedtime story. Contact Dr. Mandel Sher for a Cough Solution: 727-393-8067. Dr. Sher is working with global Cough doctors, scientists, and researchers to evaluate effective Cough therapies. 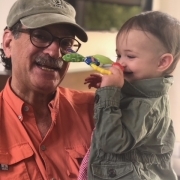 Dr. Mandel Sher is a frequent contributor to the medical community’s body of knowledge around Chronic Cough by presenting evolving paradigms for Cough treatment at professional societies. Dr. Mandel Sher and Center for Cough team are helping patients to achieve REMARKABLE COUGH RELIEF and RESOLUTION – including those patients who have been Coughing for years, seen other doctors, and tried but failed other Cough therapies.